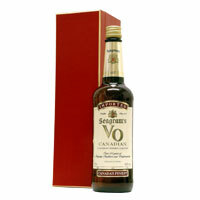 Seagram's VO Blended Canadian Whisky golden hue is distinctive and inviting. Its aroma is rich and full bodied, with sweet notes of autumn fruit and wine. Its taste is exceptionally mellow and delicate on the palate, with a warm, satisfying finish.